Dating is hard and getting ghosted is universally considered terrible. 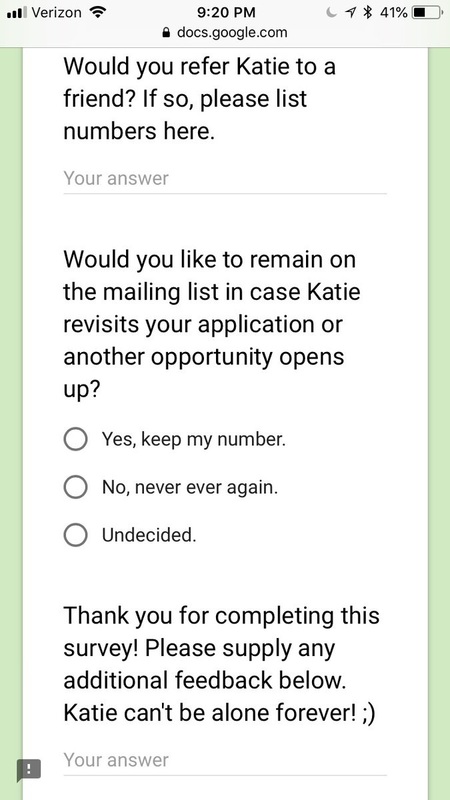 That's why Katie Miller, a 21-year-old American college student, decided to make a dating "exit survey." Dating can be hard and breakups almost inevitably leave unanswered questions - even if you were seeing someone casually. That's why Katie Miller, a 21-year-old student at Georgetown University in the United States, recently started sending a standardised "exit survey" to everyone she dates. "There's this girl I know who sends an exit survey to every guy she casually AND seriously dates," Govindan said of the survey. 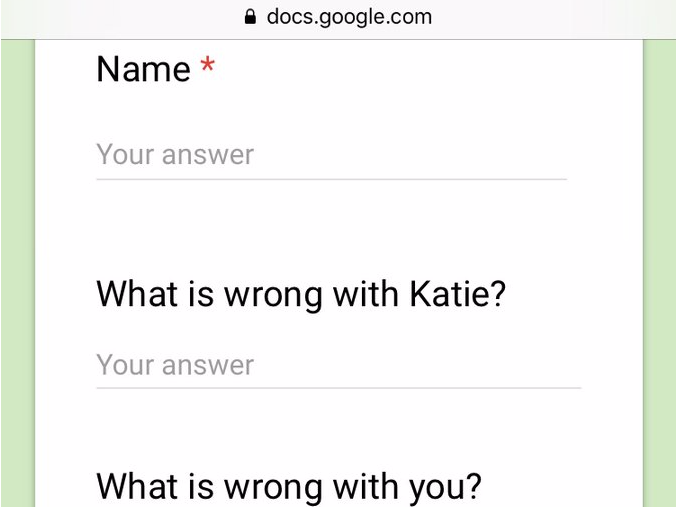 Miller's questions are pretty straightforward, encouraging men to examine such things as "what is wrong with Katie," "what's wrong with you," and if they would "refer Katie to a friend." 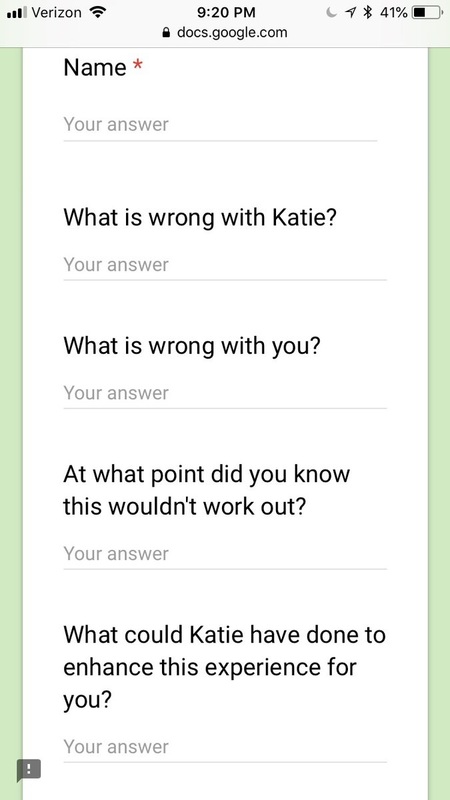 For example, five responses to the question, "What could Katie have done to enhance this experience for you?" seemed to be generally positive. 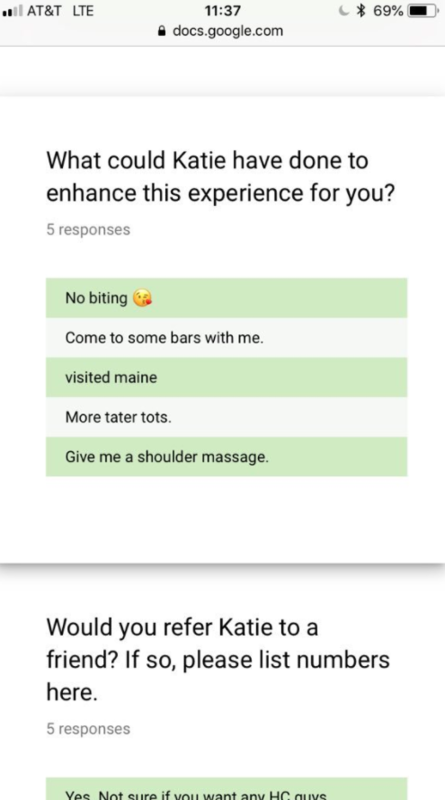 Answers included "no biting, come to some bars with me, visited Maine, more tater tots, and give me a shoulder massage." Govindan knew that Miller's survey was the "perfect recipe for virality," but she was moved to share it because she respected her friend's honesty and self-awareness. "I admire Katie's candidness and bravery," Govindan said. "Dating as a woman is always going to be a complete nightmare, I really enjoyed Katie's nonchalant approach to breakups."